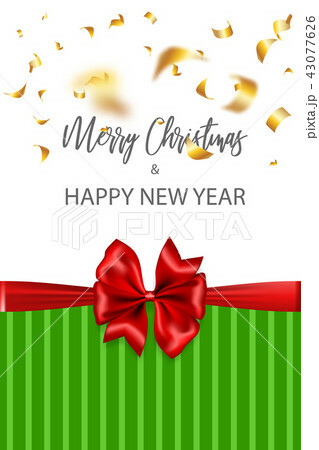 Merry Christmas 2019 New year greeting card. Red gift bow vector green holiday background. Sparkle golden confetti colored lights.